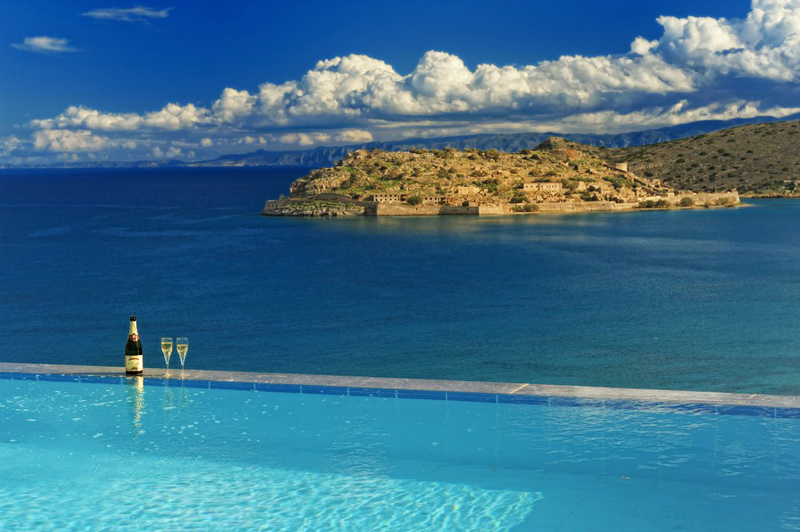 The island of Crete is a simply stunning and affordable destination for your dream wedding. 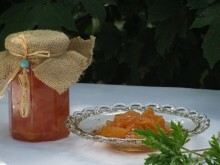 It has become a popular solution for couples that are looking for a romantic combination of holidays and their wedding. 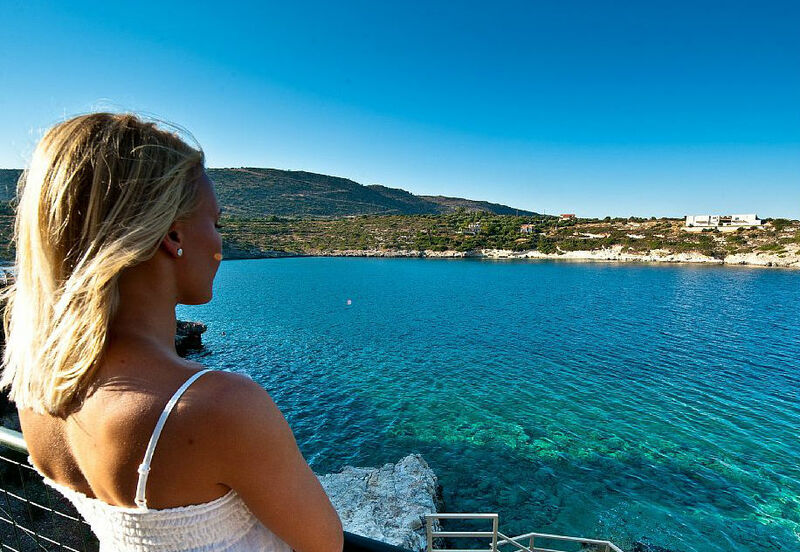 If you have decided to organize your wedding ceremony or your Crete wedding, a holiday villa will be your perfect solution for a memorable experience. Simple or sophisticated, fanciful or down-to-earth, the most remote dreams are turned into reality! For a fairy tale Crete wedding, you can choose a luxurious villa with beautifully decorated interior and exterior of high aesthetic, so you and your guests will experience moments of absolute luxury! 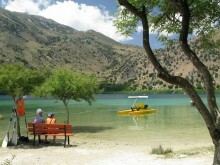 Alternatively, you may choose a small, traditional lovely villa in the Cretan nature. After all, simplicity and romance go together! 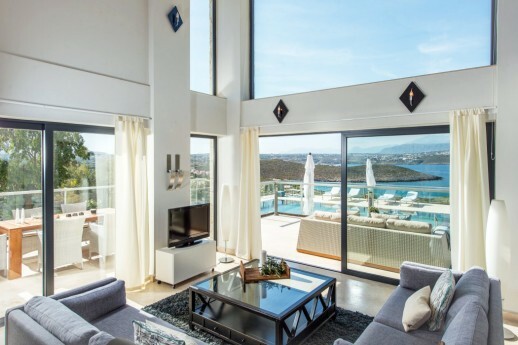 Villas in Crete, at most, have spacious parking, which will facilitate the arrival of your guests, well air-conditioned rooms, an ideal atmosphere and excellent organized kitchen in their interior; but the main advantage of a villa wedding is its privacy! 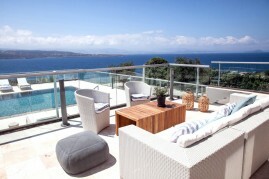 A romantic villa in Crete, perfect for honeymooners! 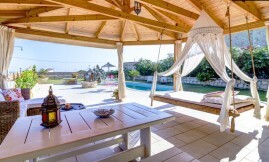 The large, comfortable and well designed outdoor area of the villa will be available to you for the whole night. You can have the music as loud as you want, sing, dance and have fun any way you want without disturbing and bothering anybody. 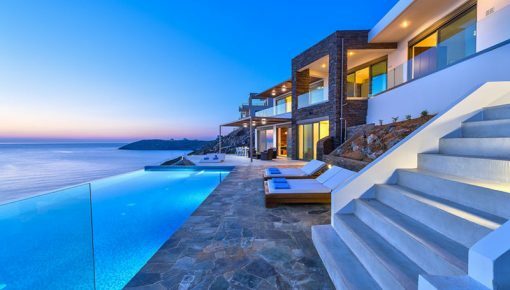 Especially, if your villa offers magical views, as most villas in Crete, your guests will return home with Crete in their hearts! 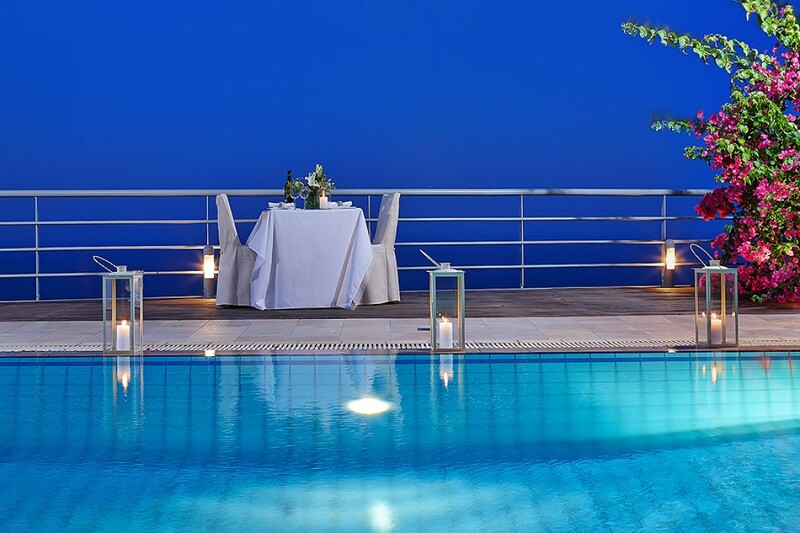 Usually, luxury villas have a large kitchen, fully equipped, which may cover the needs of your Crete wedding dinner, provided that your guests are not more than twenty! In Crete, there is a large number of master chefs, experienced in Cretan and of course, other national cuisines! We may suggest you a chef, and all you have to do is to decide the ingredients and dishes of your meal! In case you have invited more relatives and guests, then a catering service will probably be necessary! You can combine your villa accommodation with other excellent services such as maids, chauffeur, even professional hairdresser and stylists. File the marriage license, sign papers and get married back home, then have the “real” or symbolic Crete wedding, This method provides certain benefits in that it does not involve the language, laws, apostilles, translations or spending extra days in Crete, while giving you the freedom and flexibility to plan your itinerary and visit the island without the restrictions of a foreign country. Acquire a marriage license without restrictions back home (i.e., It doesn’t say “only good in the UK”), apply an apostille, have it translated at the Greek consulate/embassy and give it to your wedding planner or priest to proceed without having to submit further documents. This is also a way around the eight-day requirement. In the other hand, you can hire a wedding planner and let him/her deal with the most bureaucracy or plan your holidays for some extra days and gather all the necessary documents. For a Wedding in a Greek Registry Office, applications should be made with all the relevant documentation to the local Town Hall for a Marriage Licence to be issued – this normally takes approximately 8 days after which a date for the ceremony can be set. of the church where you intend to marry. There are plenty of choices for wedding ceremonies in Crete. There’s an ideal choice for each and every couple. From a very simple wedding ceremony outside a traditional Greek church to a traditional or luxury Cretan Villa that will host your wedding ceremony and wedding party. 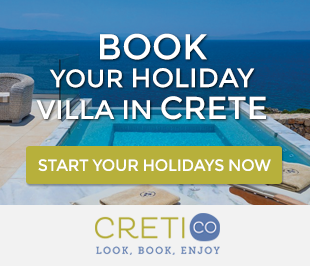 Our Villa Experts in Cretico can suggest you great accommodation options to choose from, as well as help you to organize everything in order for you to have an amazing preparation and wedding ceremony in Crete! 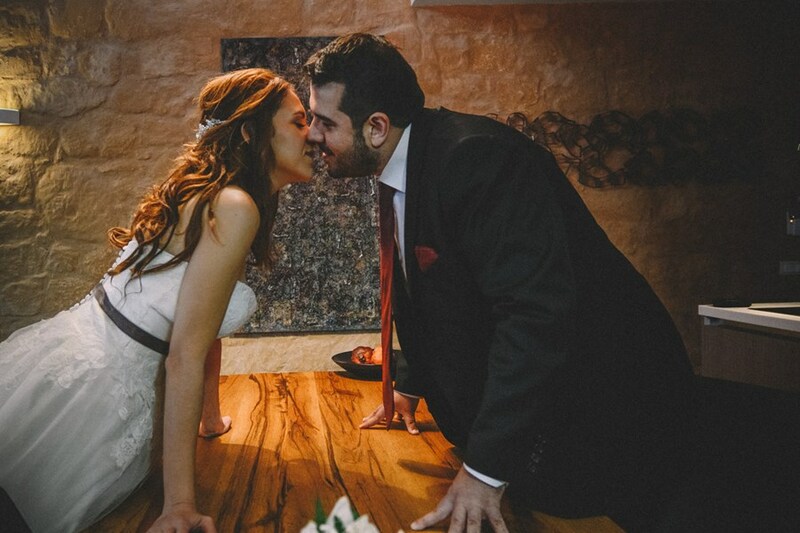 Wedding ceremonies in Crete tend to be more amazing than elsewhere in Greece. Gorgeous sunsets, idyllic seashores in a carefree ambiance and hospitable settings for your wedding ceremony! A wedding in a holiday villa in Crete is an opportunity to celebrate the most romantic day of your lifetime on the most majestic island of Greece. 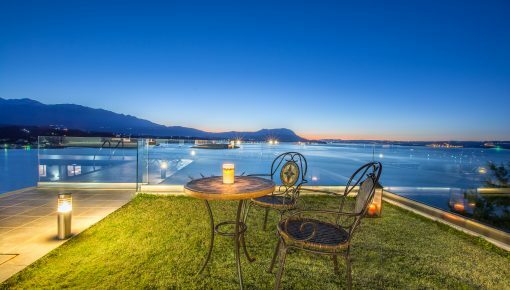 Posted on 09 Jan 2016 in Holidays in Crete and tagged Villas In Crete.